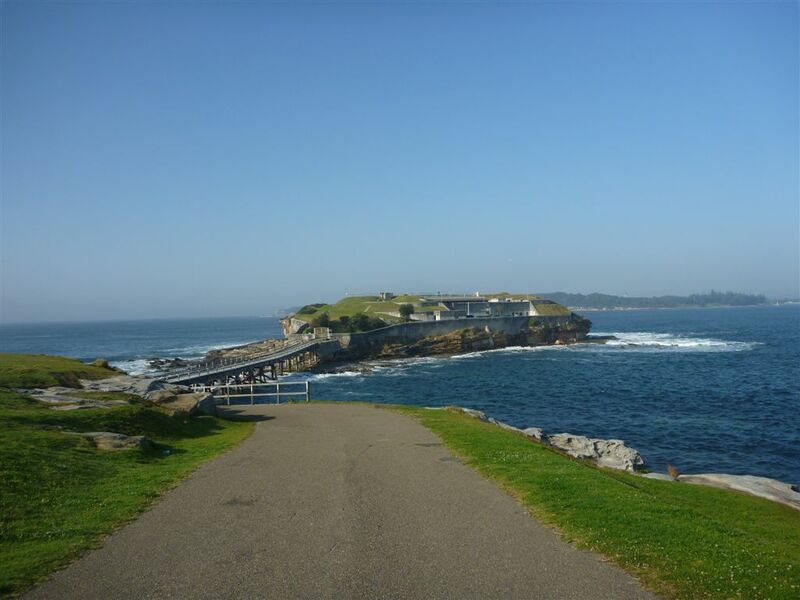 Located on the northern headland of Botany Bay, 15 kilometres from Sydney City with city to La Perouse buses passing the entry gate, Botany Bay National Park is rich in history. From the city, buses on routes 391 and 394 will get you to the park in about 40 minutes. Those travelling by car or cycle have easy access along roads through the park. 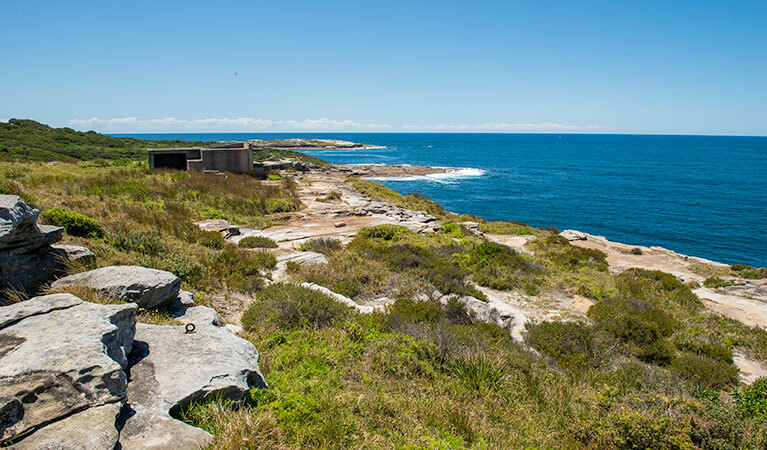 Visitors can explore the bushland abundant in native flora and fauna and discover the beaches, bays and military fortifications that are to be found in the area. In Spring, the wildflower displays can be spectacular. Family and friends can gather to enjoy a picnic along the rugged coastline that overlooks the expanse of the Pacific Ocean and to the west, Botany Bay and beyond to the distant mountains. It is a further delight to wander through the bushland to discover secluded spots in the Park where the sights and sounds of nature are yours to enjoy. On warmer days visitors can cool off by enjoying a refreshing swim in the sheltered waters of Congwong Bay, or simply by relaxing on the sand to watch and hear the ripples gently lap the shore. Follow the Henry Head Track, a scenic bush walk and it will lead you to the Endeavour Light situated on Henry Head. When walking along the cliff top, you will be some 40 metres above sea level and have the opportunity to admire awesome views of the ocean and also of the bay and surrounding areas. As you move through the native vegetation including banksias, tea tree, eucalypt and wattle, you will notice a considerable variety of bird life. Common species such as magpies, parrots and honeyeaters can be found in the National Park along with yellow-tailed black cockatoos, the powerful owl, peregrine falcon, superb fairy wren and the New Holland honeyeater. Moving further into the National Park, past the NSW Golf Club and the pistol range you will reach Cape Banks. A short walk will take you over a narrow footbridge to possibly the best view in the park. From the cliff top you can watch the power of the ocean as waves crash into the sandstone rockface below, or watch as boats of all shapes and sizes, sail peacefully across the sheltered waters of the bay. In certain months, from Cape Banks which juts out into the ocean, viewers can enjoy the spectacle of whale watching. During the months of June and July migrating Humpback and Southern Right whales can be seen reasonably close to shore, spouting and sometimes breaching as they make their way northward in pods of three or four. The return journey occurs in the months of September and October when the mature whales are accompanied by their recently arrived calves. To sight the whales, is an experience to be treasured. Resting silently below the Cape Banks headland is the shipwreck of the SS Minmi. Divers can discover the secrets of this vessel entombed below the churning waves. Rocky reefs at the entrance to the bay, Bare Island foreshore and an underwater sea grass meadow inside the sheltered Bay waters, give the area a fascinating variety of dives for enthusiasts at all levels of experience.Pro Dive at Alfreda St, Coogee (02) 9665 6333 offers diving packages and can help with all diving advice and supplies. Cyclists of all ages can appreciate at close hand the beauty of the park on short rides along the well maintained park roads. From the museum at La Pérouse they can travel along Cape Banks Road to the end of the Cape . Along the way a slight diversion will bring you to historic Coast Cemetery where victims of the 19th Century epidemics were buried. The cemetery was the burial place for patients and staff of the Coast Hospital , along with early migrants and some local people. Pedal a little further and you will come to the ruins of the Cape Banks fortifications. Reward yourself with a stroll around this fragile area and discover something of the gun emplacements and bunkers and the military history of this strategic location, guarding the entrance to Botany Bay .